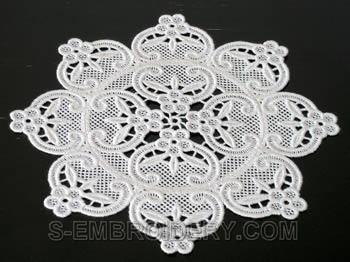 A large and beautiful set of freestanding lace floral machine embroidery designs. 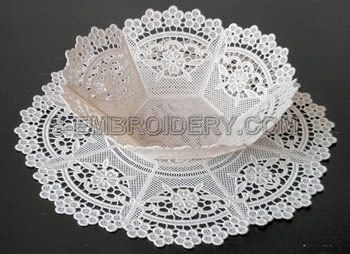 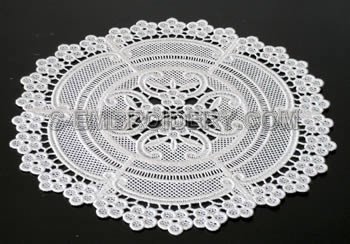 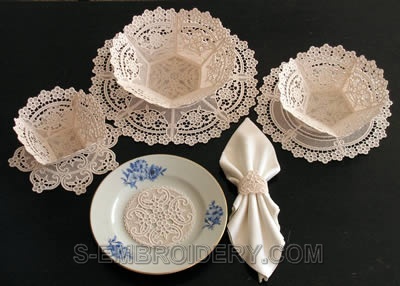 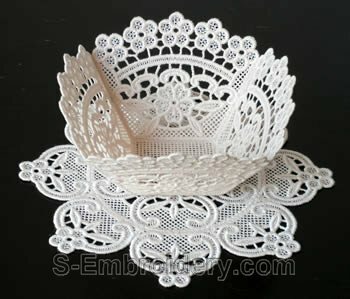 The set includes 3 freestanding lace bowls, 3 freestanding lace doilies, a freestanding lace coaster and a FSL napkin ring. 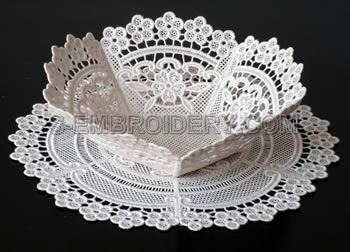 The set is delivered with instructions in PDF format. 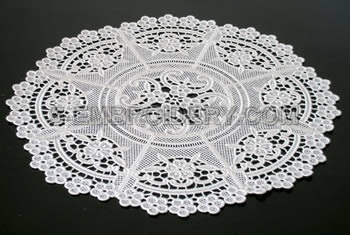 The largest design from the set has a size of 4.92 x 4.92 inches (124.9 x 124.9 mm) and the number of stitches varies between 15,000 and 46,400. 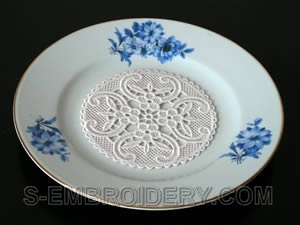 You receive 11 machine embroidery files with the components of this set as well as design information and instructions in PDF format.